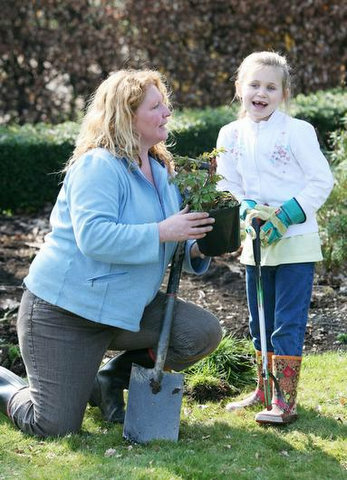 It was the perfect day for this new project, led by the Royal Horticultural Society and partnered by Crawley Borough Council’s ‘Let’s Face It’ team. 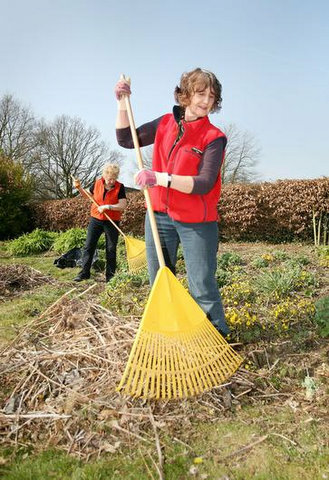 The sun shone brightly and the birds were sweetly singing, when at 9.30 am the VIPs and volunteers gathered at the new garden site, (formerly the Anniversary Garden on West Green playing field by the Virgin Active health centre), for the Health & Safety briefing by CBC’s Ruth Growney. 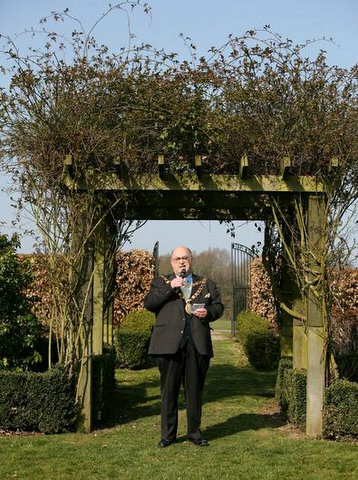 At 9.45 am we were welcomed by His Worship The Mayor Councillor Dr Howard Bloom, and his wife, and <?xml:namespace prefix = st2 ns = "urn:schemas-microsoft-com:office:smarttags" /><?xml:namespace prefix = st1 ns = "urn:schemas:contacts" />Dr Simon Thornton-Wood, RHS Director of Science & Learning gave thanks from the RHS. It was time for refreshments at 10 am, so the VIPs all came to our hall and indulged in tea and coffee, biscuits and home made cake, served by Rene Ellis and our Chairman John Green. 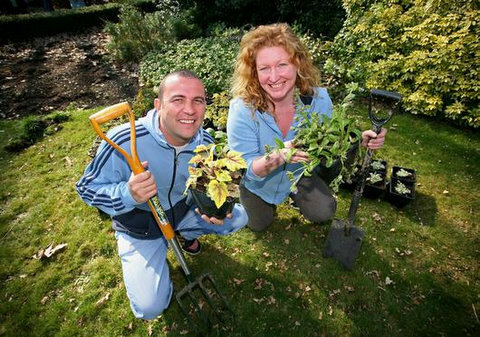 The RHS VIPs included publicity and liaison staff, National and Regional Britain in Bloom judges and special VIPs Chris <?xml:namespace prefix = st1 ns = "urn:schemas:contacts" />Collins (The Blue Peter Gardener) and Charlie Dimmock (Ground Force). 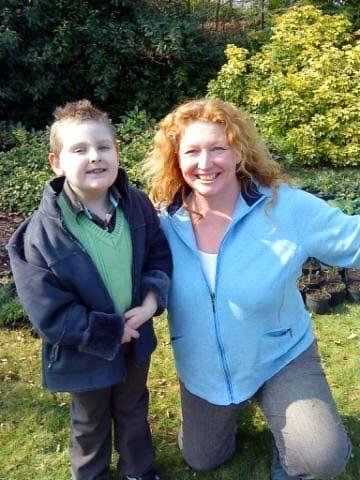 Charlie Dimmock was a true star when she met the son of one of our members. Little Charlie was born with Congenital Heart Disease and will have to undergo a heart and lung bypass. Charlie and Charlie spent a while together in our hall garden, chatting about his favourite plants. He will have some fond memories to share with his friends and a photo he can proudly show off. 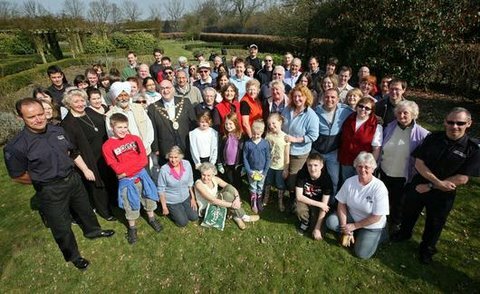 Thanks go to all the CHS members, including our President, Miss Mabel Clackson who came along on the day to help at the hall and in the <?xml:namespace prefix = st2 ns = "urn:schemas-microsoft-com:office:smarttags" />Interfaith Garden. 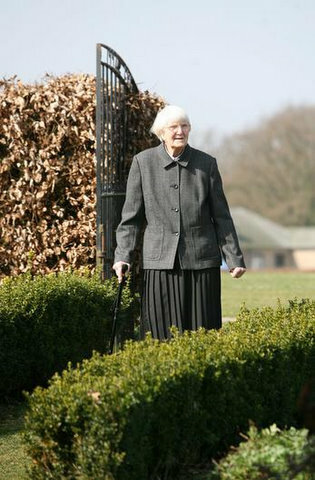 Special wishes for a speedy recovery go to <?xml:namespace prefix = st1 ns = "urn:schemas:contacts" />Charlie Large and our warmest wishes to his family.